Three years ago, Nic and Shelby attended the same Halloween party, where Shelby was slowly won over by her sweet guy, despite her being pretty hard to get! Fast forward to one year of dating, Shelby had an opportunity to follow hear dreams in South America, so she took it, with the full support of her amazing guy. He would send her emails every day even though she could only read them once a week and that's when she realized this was it. On their off time, these outdoorsy types love to go hiking together and that's exactly what they were doing when Nic proposed to the love of his life. 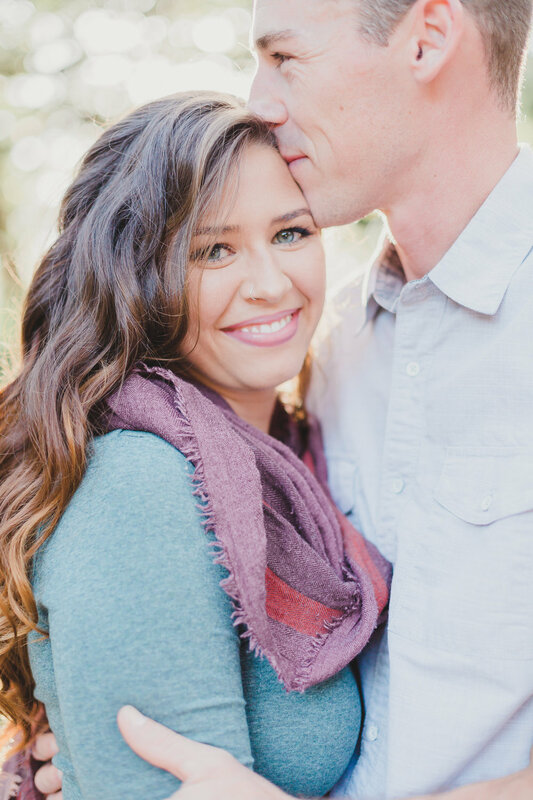 Underneath a waterfall, Nic asked Shelby to be his wife and partner in life. 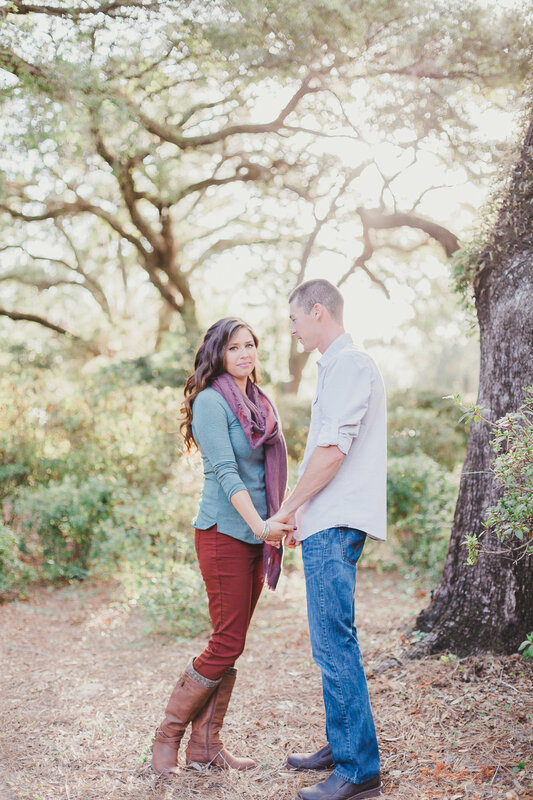 I got to witness, first hand their compatibility and love during their Eden Gardens engagement session. Smiles came easily and laughter was so natural. I was capturing all that natural happiness, but I knew Shelby was drawn to intimacy in photos as well. I could tell Shelby was having a little trouble letting her guard down with me. I suggested an outfit change and they headed to the bathroom to change into their dressy outfits. When they came back, it was like I was photographing a different couple. I was shocked, giddy, and confused! I even asked what in the world they talked about in the bathroom because suddenly, capturing their chemistry and romance was so easy! The answer? Nic just helped Shelby relax. Suddenly, she was confident, a little edgy, and open. 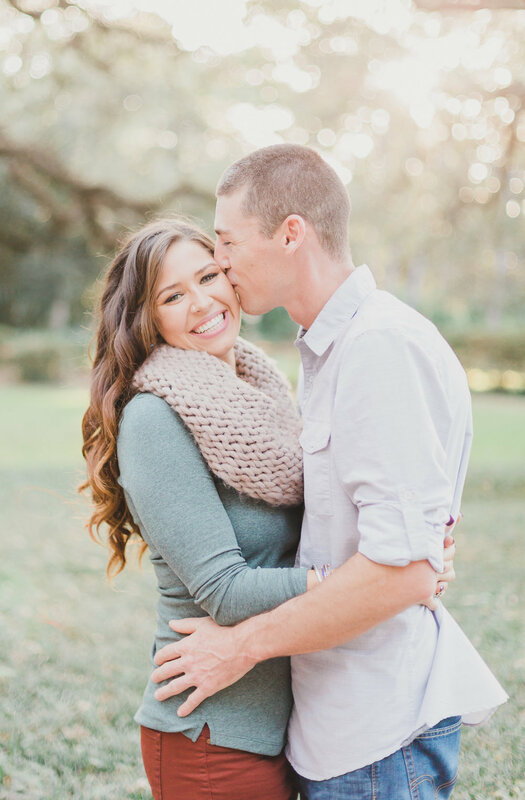 I was so moved to see Shelby blossom in the safety, comfort, and support of her love's arms. He was so invested and willing to make Shelby happy, that he took it upon himself to make sure the session was everything she wanted. They read magazines and even lit paper lanterns after the sun had set. I got to sneak a peek through my lens and capture two people, a team, that are totally in love. More than that, I witnessed what it looks like when a man adores his woman and does everything in his power to make sure she's happy. They didn't notice, but as I photographed them from across a fountain, I teared up. 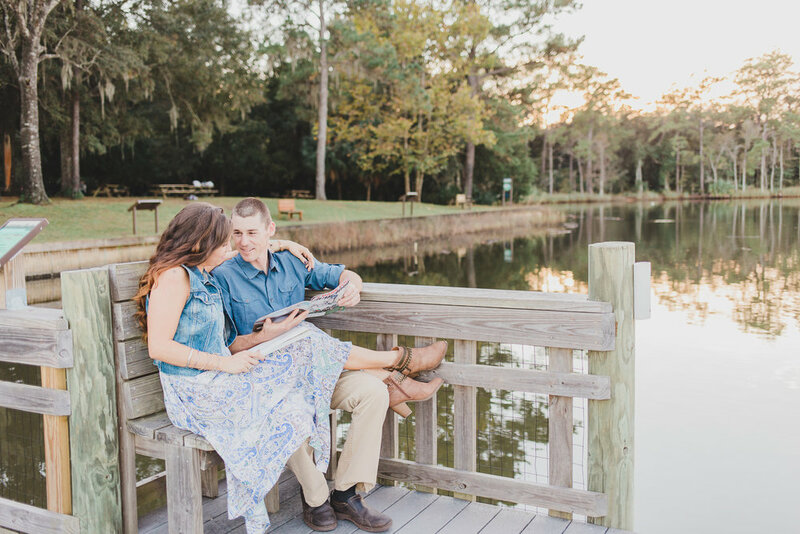 Next year in January, I get to capture these two saying their vows twice! Once here in Pensacola, at 5eleven, and again in Yosemite. To say I am over the moon is an understatement. I can't wait you guys.